Just as I was about to volunteer another woman stepped up. Ya’all, this grieves my soul. And I believe it grieves the soul of God too. We are called to pray. And we are called to pray together out loud! Our women need to learn how to pray out loud. 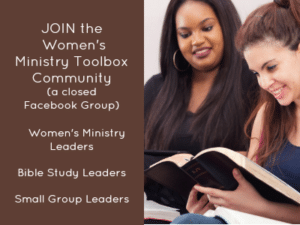 The very best place to start that training is within your own women’s ministry team. 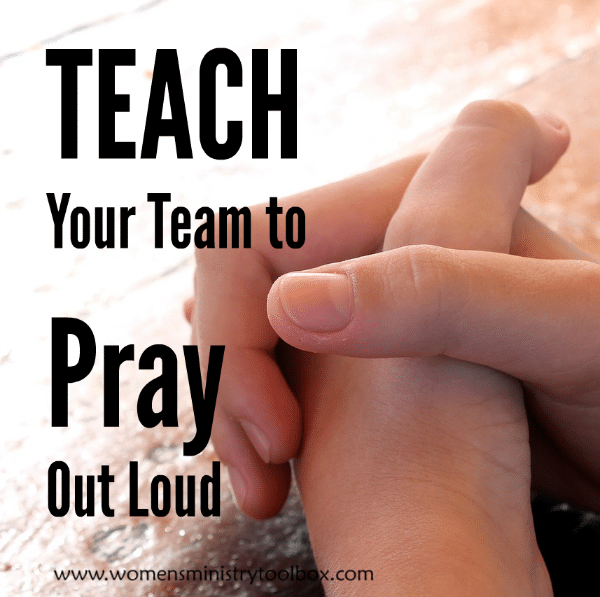 Chances are there are several, if not many, on your team that would rather go to the dentist than to pray out loud. I’ve got a great prayer training plan to share with you all. 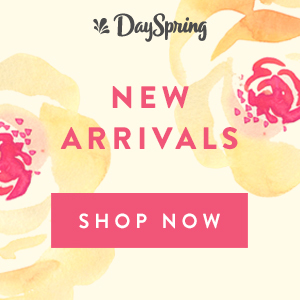 Ive included several free printables for you to use too! 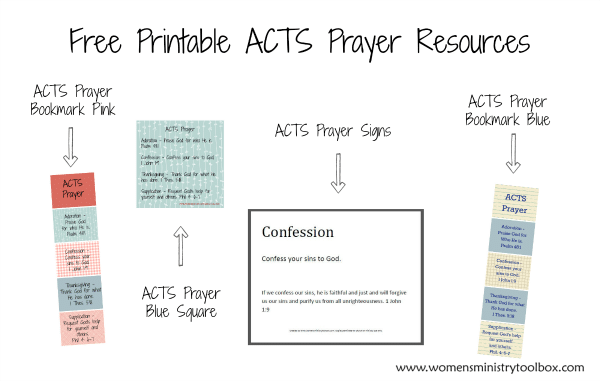 For the past several years I’ve used the ACTS Prayer method as a way to teach others to pray out loud. I love that it’s simple and quick. It’s easy to remember and it’s Biblically sound. Each person says one sentence as each category is covered. That’s it. No lengthy, wordy, or intimidating prayers. No need to readjust your meeting agenda on the fly. The concept was shared with me at a workshop at SheSpeak in 2009. The prayer group I belonged to for several years used a variation. Over the years it’s developed into what it is now. When I first teach a group how to pray the ACTS Prayer I break it into pieces. With the Youth we teach, we start with Adoration and then add Confession the next week. We take 4 weeks to cover it all thoroughly. With older Youth we’ve chunked it 2 at a time. I’ve taught adults in one “lesson”. 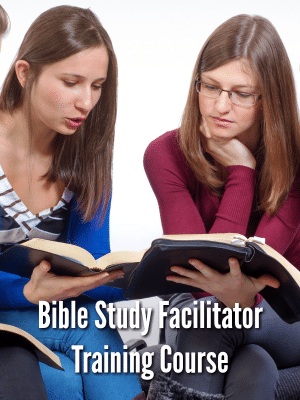 With my Women’s Ministry Team I’ve re-taught the method at subsequent meetings (they tend to forget between meetings until we’ve done it several times). It’s extremely important that every group you teach have a written copy of the ACTS Prayer as a reference. To help you out, I’ve created these free printables. Click to open each PDF. Print them out, laminate them, and distribute them as needed. Note: the Bible verses listed are the reason behind what/why you are praying that particular part. You are not praying that Bible verse. The signs come in a set – consider using them as you teach and tape them to the wall or board as a reference. Walk the group through each step, sharing examples of what they may say. 2. C stands for Confession – Is ALWAYS done silently (exception to this rule – praying with a trusted prayer partner or small prayer group where everyone agrees they want to be held accountable). Their confession should remain between them and God. You want to encourage participation – praying out loud is uncomfortable enough for some without asking them to bare their soul. 3. T stands for Thanksgiving – This is the time where you each thank God for what He has done. It could be personal thanks for a safe trip, fruit from a ministry event, or even just for the weather. People tend to get praise and thanksgiving mixed up. Try to be as clear as you can in your examples. 4. S stands for Supplication – This is for requesting God’s help for others. Caution your group to refrain from sharing names (this protects your prayer time from becoming a gossip session). These can be personal requests for yourself or others. At our Women’s Ministry Team meetings we lift up specific ministry related requests (most of the time). Okay – now that you’ve explained what the ACTS Prayer is it’s time to pray! Let the group know that you will lead the prayer around the circle. Let them know that you’d like everyone to pray one sentence for each category. Assure them that you will lead them into each new section making it clear what is expected. Let them know which way around the circle the prayer will go – either your right or left. 1. Lord, we praise you for who you are. You are _______________. 2. God we want to thank you for the many things you’ve done for us. I thank you for ________________. 4. Father, we want to lift up our requests to you now. Please ___________________. 5. Close the prayer with “Amen”. Depending on your group, you may want to give them the option to say “pass”. When we have visitors in our Youth Sunday School class I always offer that option. You know your audience and you know if someone would be uncomfortable. That being said, I expect my team to pray out loud. This is training for them. Consider having the women in your group/team take turns being the leader once you are certain everyone understands the process. Will be able to lead any group to pray out loud. Will be more confident in praying out loud. Will have a stronger personal prayer life. Will be equipped to teach others how to pray. Please know, I fully embrace Holy-Spirit led prayers. This is a formula and should never restrict what God is doing or asking you to do with your group. There will be times where you’ll want to remove the one sentence request. Our team tends to pray 2-3 sentences each, even though I ask them to pray just 1. I don’t fuss or correct. That works for us and for our time frame. Let’s strengthen our prayer muscles! 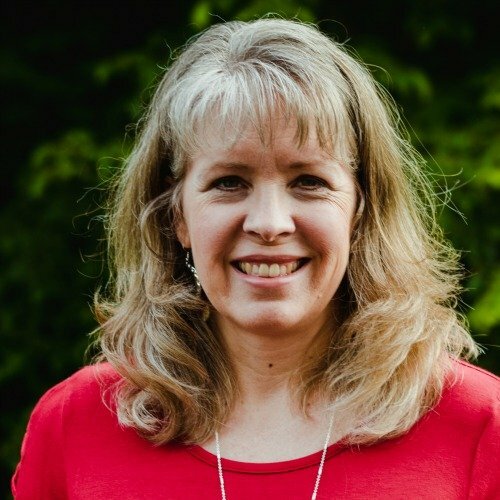 Thanks Cyndee, I’m part of my church prayer team, but wasn’t familiar with the ACTS prayer model. I had been instructed to pray that way using the Lord’s Prayer as a model, but never heard it called ACTS. Thank you for the structure you give to learning to pray out loud. Doing so horrified me for years until the Holy Spirit helped me find my voice. I’m no great eloquent prayer warrior, just a simple Christian who wants to glorify my Heavenly Father and lead the lost to Christ. Thanks for helping me do so. Sandra, so glad you found this post helpful! Thanks for your sweet comments. 🙂 May your time with the Lord be extra sweet! Thank you so much for this site. You really broke down the A.C.T.S. method. This is giving me more encouragement to press on in prayer. Many times people do not break down the meaning or provide examples so a person can take it and grow. God bless you and your ministry. Tasha, I am SO thankful you’ve found this post helpful! May God continue to grow your confidence in praying out loud! 🙂 Bless you! I can’t thank you enough for this post! I suffer so much with praying out loud but I’m hungry for it. I’m going to study this post until I have it memorized. Thanks Janie! I am thankful God has given you a heart for prayer too! Thanks so much for sharing. I am a Catholic and taught C.C.E. for many years. I have always liked this prayer and had it up in my room. Your explanation is great and so true. Nobody ever wants to volunteer to pray. Nancy, I wish I could hug your neck! Your sweet words of encouragement and thanks are so greatly appreciated!! You’ve made me cry…May God bless you and your ministry as well. Awesome sight. Great ideas. I love it when the women (in Christ) show up with great ideas and share them freely with their sisters. After all aren’t we all just trying to do the same thing: get the message of Jesus out to as many as possible, and of course, we know that if you start with the “mom”, the husband, kids, sisters, brothers, etc will follow. The ideas included here are great and even better that they’ve been tried & tested beforehand, giving us any suggestions on what to and what not to do! Thank you again, blessings to you and your ministry. May it continue to grow, and strengthen, to the Glory of God. Most of all, thanks for sharing your ideas and many of the printables for free. When you give something for free, it truly shows your heart. Thanks again.